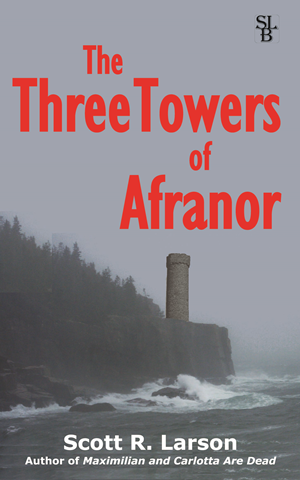 Here’s something good about my second book, The Three Towers of Afranor. I should not have been surprised. I was well aware that readers love to look for parallels in authors’ personal lives and their stories. I do it myself—especially if the author happens to be a well known public figure. We want to make every novel a roman à clef. It probably doesn’t help that writers actually do, quite reasonably, borrow from their own experiences or those they have observed. So turnabout was fair play when the speculation came my way. Interestingly, even though it is still early days since the book was released into its natural habitat, no one has come back to me and said, “Hey, isn’t this the same book you wrote the first time?” Because it kind of is. 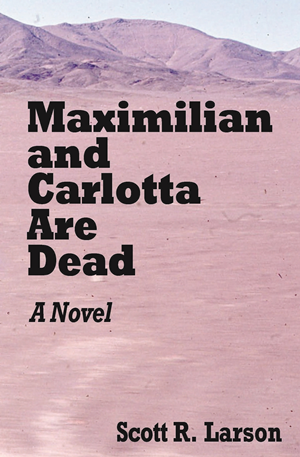 A lot of The Three Towers was written to amuse myself while I was still editing and polishing and correcting Maximilian and Carlotta Are Dead. And it did not escape me that the long-ago-conceived tale of the cursed kingdom of Afranor and its three towers was essentially a hero-and-quest story, not unlike the story of Dallas and Lonnie and their quixotic journey in search of the long missing Tommy Dowd. 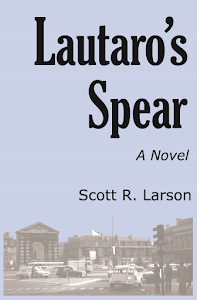 Since the Afranor story in its original high school Spanish version, even after being re-written and expanded, only stretched to a mere 46 pages, it was clear that I needed to beef it up a bit if I was going to get a whole book out of it. The old characters were fleshed out, some new characters were added, and the story took some new turns not foreseen in the original. Despite the fanciful setting and situations, I did want the characters to feel as real as possible, and so the themes of being young and insecure and passionate and male and having to confront dangerous situations in a foreign country all leaked from one book into the other. I must have done a good enough job of making it seem like a different story, though, since no one yet has called me on it. On the other hand, didn’t someone once study all the books and movies and TV show plots ever produced and come to the conclusion that there were only about three or four basic stories anyway? So when it comes down to it, isn’t writing really only about making the same old stories seem fresh and new? There is, however, one question I did often get about Maximilian and Carlotta Are Dead that I am now getting about The Three Towers of Afranor. People want to know if there will be sequel. I can answer the question about both books with a single reply. Yes, if my brain and my fingers keep working long enough, there will be sequels to both books. One more brief post to point those interested to another interview I did online. This one is on the website called, self-descriptively enough, Interviews with Authors. It is part of the BookGoodies Network, an outfit that supports independent authors and the readers who like to read them. You can read the interview by clicking on this sentence. You can read my books by clicking somewhere over to the right side of this page. Just a quick post to note that the awesome gang at the website called Awesomegang (“where awesome readers meet awesome writers”) have posted an interview with me on the occasion of the release of The Three Towers of Afranor. You can read it at this link. Many thanks to the Awesome gang for doing their bit to support struggling novelists—as well as the non-struggling kind—and making it easier for writers and readers to find each other. I am trying something I haven’t done before. I have posted a sample excerpt of The Three Towers of Afranor so that people who think they might be interested in the book can get a better idea of what the book is like without having to plonk down some money first. Some of the various sites that sell the book allow you to view or even download a sample, but I thought I would make my own sample available to the readers of my various blogs. This excerpt is essentially the first five or so pages of the first chapter, so you can read the very beginning of the book and get acquainted with some of the characters. I might try putting up another excerpt at some point—if I can settle on one that does not unduly risk spoiling the story.